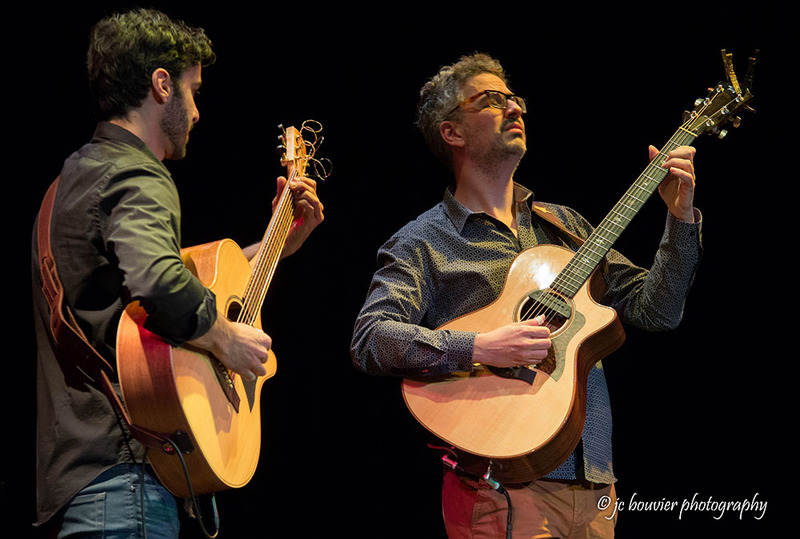 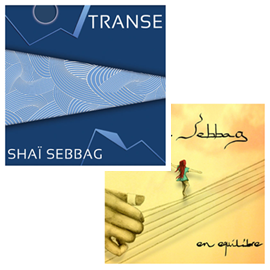 New hope of the french guitar, Shaï Sebbag travel the world, far beyond our borders, and "initiates our ears to the art of travel , or rather , his journey" (Acoustic Guitar Mag) . 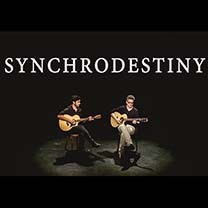 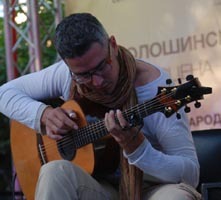 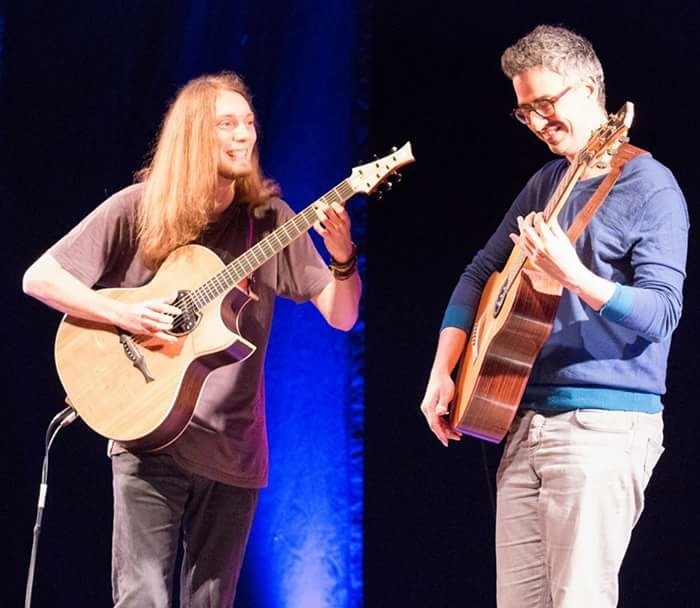 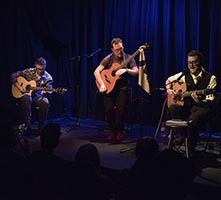 Artist with many influences, east Slavic music, modern fingerstyle , Shaï has become a major guitarist in France ,following the release	of his fourth album "Transe", acclaimed by the biggest names in acoustic guitar (Muriel Anderson, Michel Haumont...etc ) and the press (Acoustic Guitarist, Guitar Mag, The Guitar Channel... ). 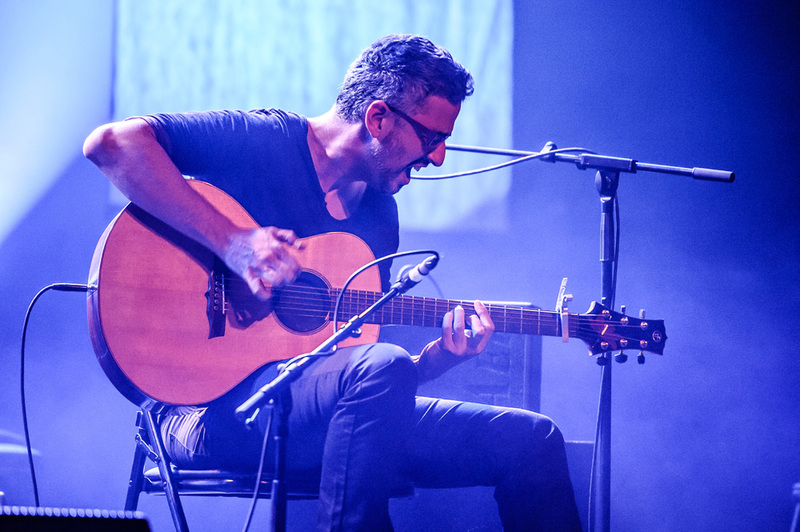 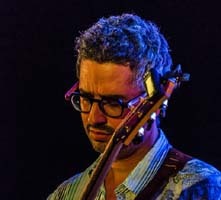 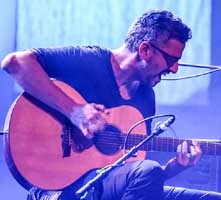 Over the tours he has shown in prestigious venues such as the "All Star Guitar Night" in Los Angeles (Second french guitarist in 20 years), the International Jazz Festival in Koktebel Crimea or closer to home the festival "The Sensitive String" in Bordeaux, alongside Juan Carmona and Biréli Lagrène . 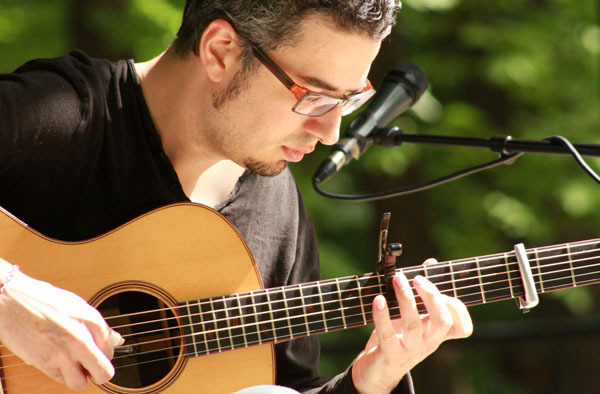 Shaï began learning guitar at 16 years old, self-taught. 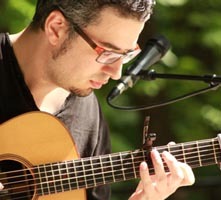 It begins with the classical music. 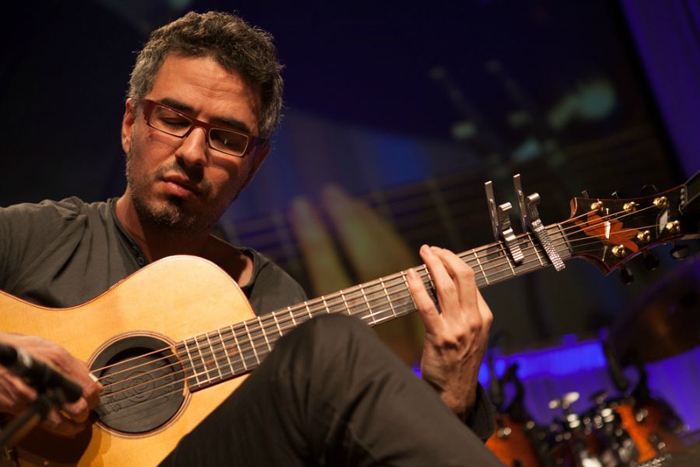 3 years later, he discovered the bossa nova, studying the great masters of style: Antonio Carlos Jobim, Toquinho ... etc. 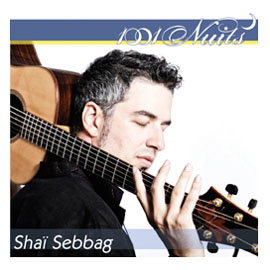 7 years later, it is a musical shock : Shai discovers fingerstyle and jazz. 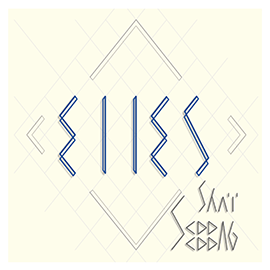 Very quickly, Shai compose in this style. 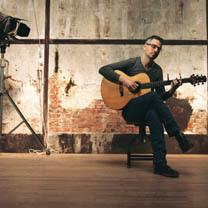 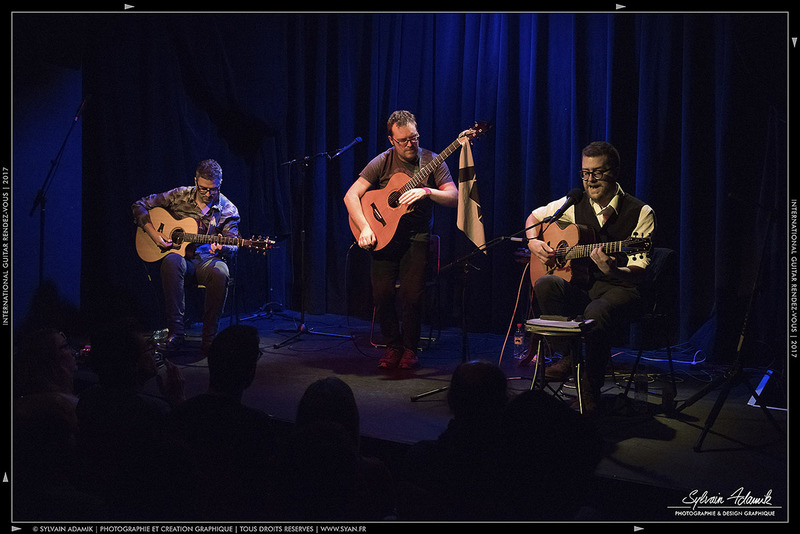 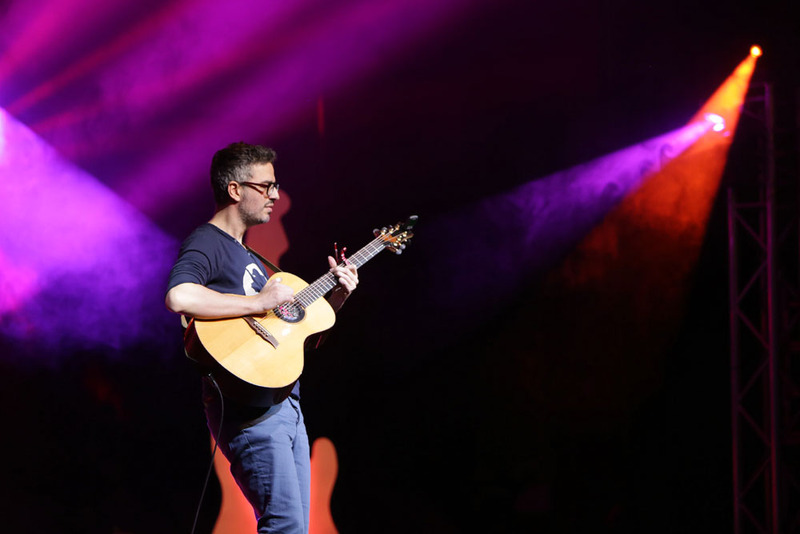 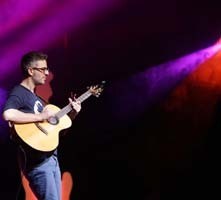 His second composition "Celtic Dreams" won a competition organized by Jean-Felix Lalanne, allowing him to go on stage at the Casino de Paris, for "All stars guitar 2006". 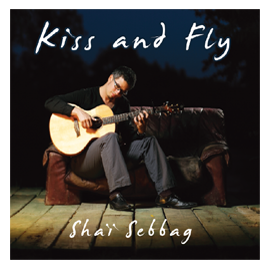 In 2010, the album "Kiss and Fly" was born. 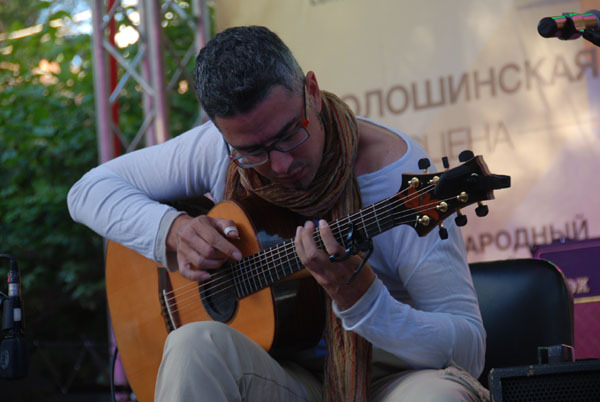 The album receives a warm welcome and the Shaï present on many prestigious stages in France, but also in Ukraina. 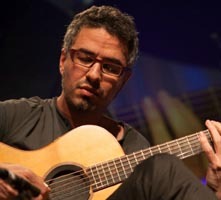 The particular technique developed by Shai and based on partial capos Kyser attracts the attention of the American company, who decides to invite Shaï in a Best Of. 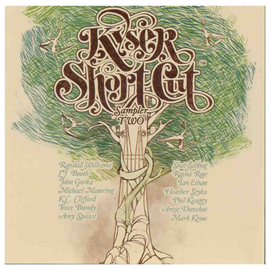 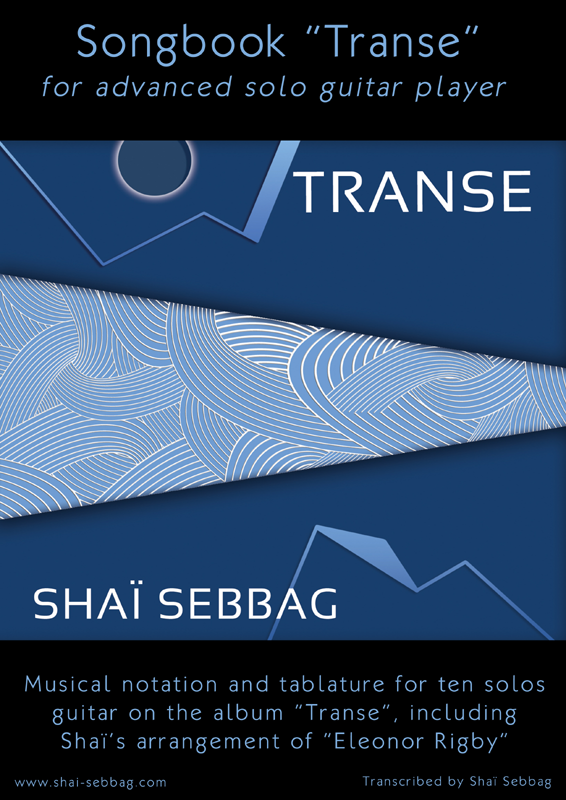 Shai is the only non-American in this Best Of, where he is listed Phil Keaggy, Trace Bundy, Michael Manring ... etc. 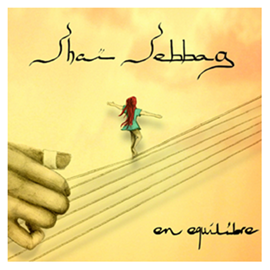 After 2 years of compositions and concerts (Ballainvilliers Festival, Kharkiv Opera, Ukraine Embassy ... etc), Shaï starts recording her second album "1001 Nights", which was released in October 2012. 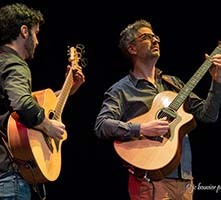 In November 2012, it is showing the International Guitar Festival of Issoudun, alongside Larry Carlton, Toure Kunda, Gareth Pearson and many others. 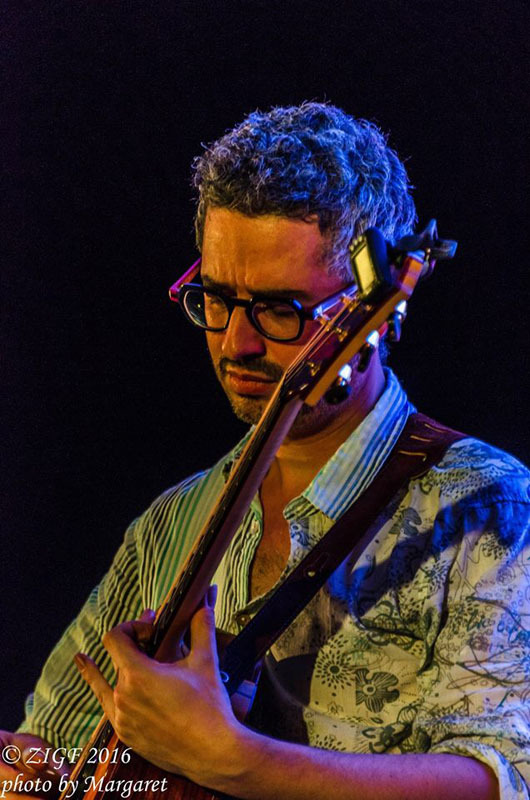 In September 2013, Shaï was invited to the prestigious Festival Jazz Koktebel, Crimea, showing with Erik Truffaz, Nils Petter Molvaer, Omar Puente Quartet, The Hardkiss ... etc. 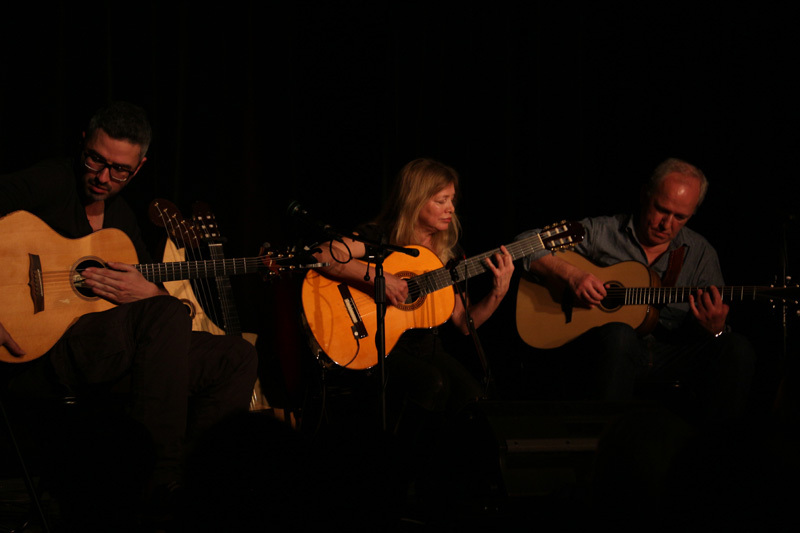 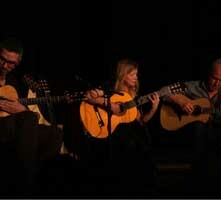 January 2014, it's the dedication : Shaï played at All Star Guitar Night, chaired by Muriel Anderson. 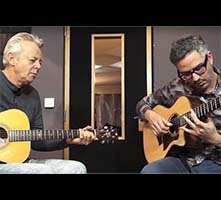 The All Star Guitar Night is a charity concert taking place in Los Angeles and bringing together the biggest names in the guitar for almost 21 years: Mike Stern, Tommy Emmanuel, Martin Taylor, Lee Ritenour, Stu Hamm and many others ! 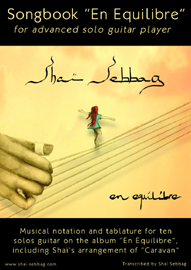 June 2014 : the third album of Shaï "En Equilibre" (In Balance) released. 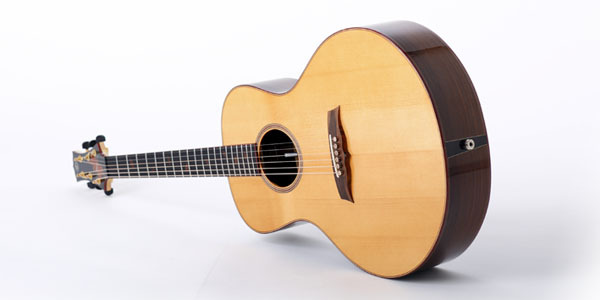 A big success in the guitar world. 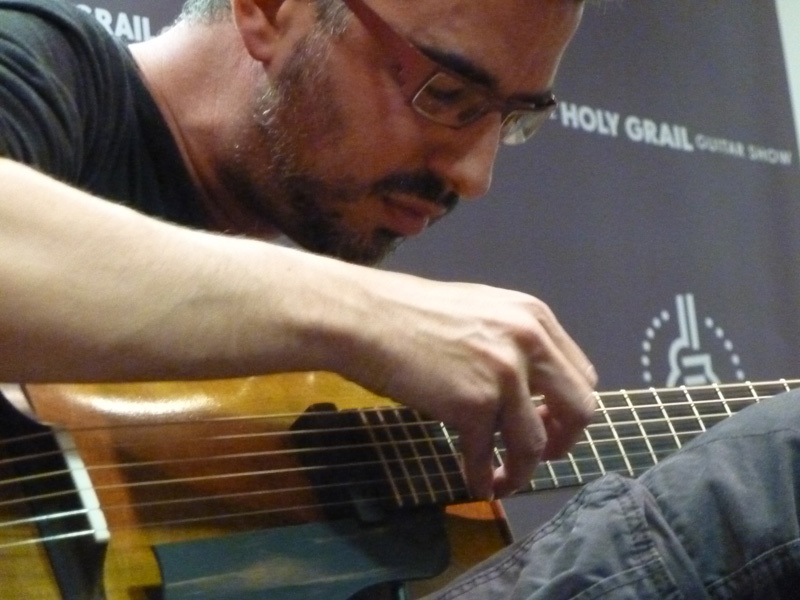 After that, Shaï made a very long tour (8000 kms through 5 countries). 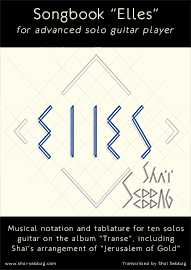 2018 : Release of his firth album "Elles"
First Official Video, for the title "Into The Wild"
5th album solo : "Elles"
Limited offer : 2 CD Pack ! 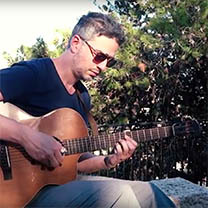 "Best Of" by Kyser, the manufacturer of famous "quick-change" capo and the "short-cut" capo, very usefull for the composition of Shaï. 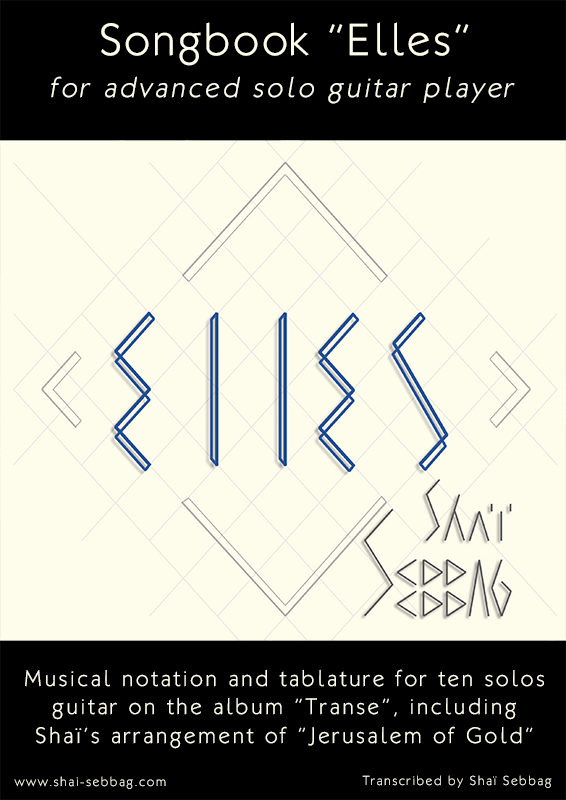 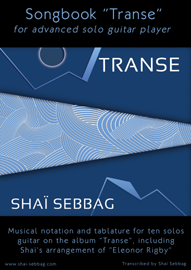 This songbook present the 9 solos guitar of the album "Transe"
This songbook present the 10 solos guitar of the album "Transe"
This songbook present the 10 solos guitar of the album "En Equilibre"
The brand new stage guitar of Shaï : precise, beautiful sound, light and perferct for fingerstyle ! A partner and a major actor of the guitar on the Web ! 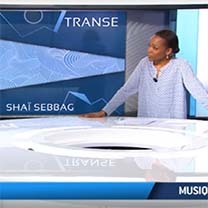 The producer of my show and my best partner ! 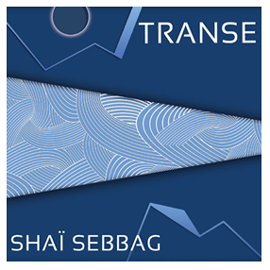 THE sound of the album "Transe". 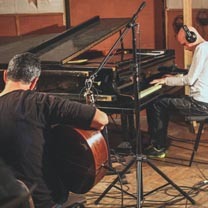 The studio is very close to Paris, in a beautiful charming house : a highly professional sound engineer, very cool and close to your needs ! 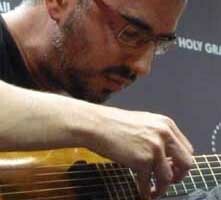 Color Sound, the french sound gourou ! 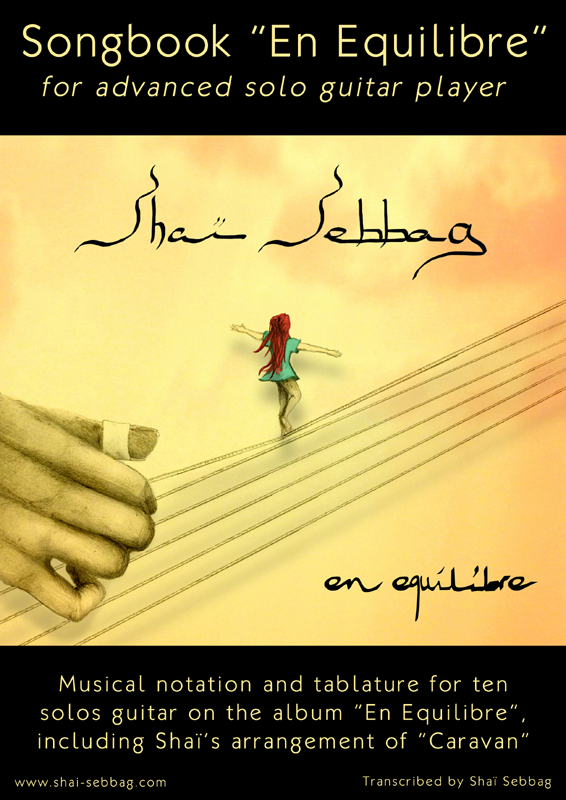 "En Equilibre" album result from the work of these guys !